Dorel also offers a verity of beds including the upholstered Hollywood Premium bed pictured above. All at affordable prices. I recently redid a small bedroom into an office, sitting room and spare bedroom, with the help of the Euro Futon. Read full review and see photos here. Who wants to win a Euro Futon valued at $250.00? 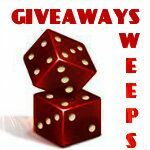 Use the easy entry form to enter to win. Your tweets must be open to the public and not protected to qualify. Only one mandatory entry, the rest are for those savvy folks that would like to increase their odds. what a beautiful selection of products. I love these products and they seem like space savers. 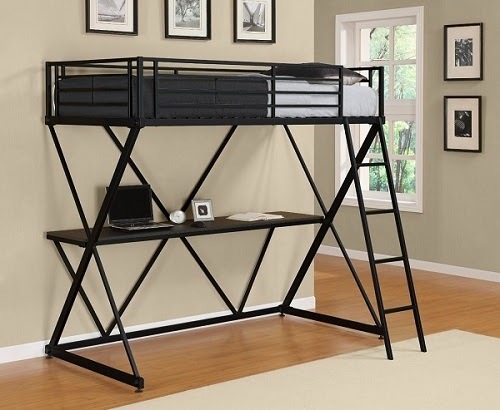 I really like the bunk bed desk.. my son has a version of this in his room.. the one from Dorel Home looks more stylish. I was also looking for a futon type couch for my parents house for guests. Great affordable prices! Love the futon! Could really use it! What a neat futon and something I could use. I would love this. My apartment is tiny and it would fit perfectly because it doesn't take up too much space. It also looks very comfy. The X Loft bunk is awesome! My son has a small bedroom and that bunk is a great use of space. I love how useful the furniture seems. I also love the mid-century modern feel. This furniture is so cool and unique,my daughter would love to have that futon in her room instead of the bed she uses,The furniture saves room,looks great,and it serves a purpose at the same time,which is awesome! I love the futon! This would be great for my living room! 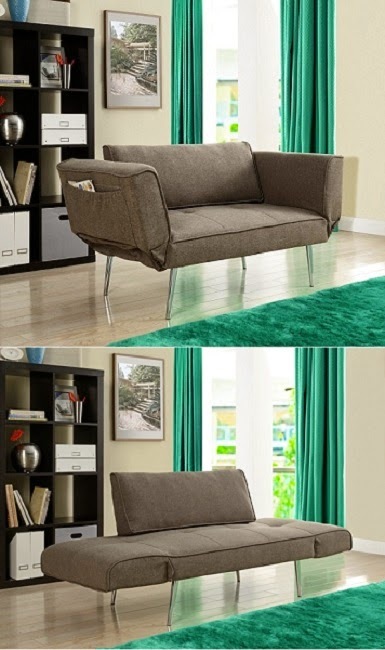 I have been looking for a reading futon for awhile and this would be perfect!! This is a beautiful futon. I could put it up in me second living room for guests. I love this type of furniture. If I could talk my husband into it, it would be how I furnish my house!! The prices seem really affordable! Wow! 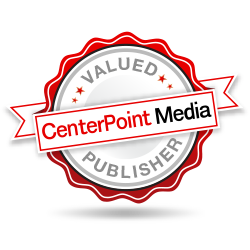 Great stuff on this site! I really like the loft bunk bed . This would be just perfect for my grandsons college dorm room. What a space saver! 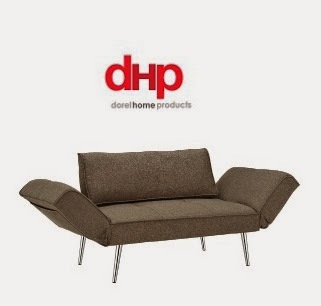 DHP has got some great looking items, I like the futon. Thank you for sharing this post. DHP has some good looking products. I need to find a good couch for my living room. The Loft Bunk Bed would really come in handy for a small space. Love it :) Very functional and easy on the eyes! Good look furniture for places with not a lot of room or anywhere for that matter. I love how well the furniture is made for small rooms, it looks fabulous but it saves so much space! I love how unique their products are. I have never heard of Dore Home products before and I really like them. I love the style of the futon. Kind of a new-retro look that comes off as pretty sleek. Very cool! This furniture is awesome! It has such a clean modern look to it! I like that it's versatile and affordable. I really love the look of this futon and I have the perfect place for one! There is so much to choose from. I love the wide selection of products. I miss having a futon! The last one I bought was metal underneath and all of the prongs broke off within a year. I literally wore it to the ground. Our home is old, so the rooms are quite small - Dorel's furniture is a good fit for us. We had a futon for years, it finally broke during one of my in law's visits. This Dorel looks like a perfect replacement. What a gorgeous futon! It would go perfectly in our family room. Thanks so much for the info. I love the loft bed it is exactly what we need for my son's room he needs a desk but not much room. i visited the 'dorel' site and they offer a huge variety of space-saving items and accessories. This is a cute, modern futon. I think it would look great in our home office! I love the futon, it would look great in my family room. I really like all the furniture. My daughter could use a bunk bed with a desk underneath. The futon would be great. Periodically I have someone stay the night. Having a great futon doubles as a couch and bed while taking up less space. I really like this furniture, it would look great in my living room. I've never seen one like that before. I'd love it for my living room! This is just perfect for a den, when you don't have an extra room for a bed. I love this for surprise guests and when my daughter has sleepovers. I like the futon designs and colors look really great and durable would be nice for the family room we never have enough room for people to sleep. I love Dorel Home Products! I really like the Sophia Upholstered Daybed and Trundle. They also have some nice futons. Wow, Dorel seems to have a lot of good stuff at great prices. They have a lot of awesome modern furniture! I really like this futon... It would be great in our den! I would love a new couch or futon. I need something that is comfortable enough to sleep on but also stylish enough for a livingroom couch. It can be very difficult to find good quality, stylish furniture that is also affordable, so Dorel seems like a great option! Dorel products look fun and functional. I have 2 teenagers that are picky about what they have in their rooms....there's lots here that look like they'd really love! I'm excited that I can find these products at my local stores! This is gorgeous...would love it! I like the Hollywood Premium King Size bed. The furniture is very nice. Nice futon. We are planning a turning our family into a man cave and this would be a great addition. They have a great selection of products. The curtain sets for loft beds are really cute! I like their furniture! They have a nice selection and it's all reasonably priced. I could see myself ordering from them. Having overnight guest often, a piece of furniture that is small enough to fit in the spare room but also serve as a comfortable piece would be great. I love how stylish yet functional this is! I'd love to add it to our decor, thanks for the chance! We might be moving soon and I think after 20 years new furniture is in order. I like futons in that you can fall asleep while watching television and be comfortable at the same time. The X-Loft Bunk Bed is quite stylish. We've actually been looking into functional furniture! What a great website. Their products look super cool and functional. Love your furniture!! Very modern meets retro!! I like the bunkbed with the table under it. Perfect for a teen. The futon is so versatile!! This would look good in my new house!!! Futons are a wonderful thing to have. My college boy wouldn't know what to do without it. It is nice to be able to sit and sleep on the same piece of furniture when you don't have a lot of room to work with. The creator of the futon is a genius in my eyes. This would be a great replacement for my ugly couch. My couch is falling apart. These futons look nice. I rather like the idea of the loft bed with the desk/study nook under it. Definitely would be an efficient use of space. I would love to have the Futon in my guest room for my granddaughter to sleep on. The Euro Futon would be perfect in my home office. that futon would be awesome in my guest room!!! I would love to redecorate our guestroom. A futon is a nice piece of furniture. You can entertain guests and they can relax sitting on the couch while watching TV and playing games. At night, the room could be transformed into a bedroom by putting the futon down. Very very nice giveaway, thanks for the chance. The furniture looks really neat. Love it. I love the stylish selections taylored to small spaces. What neat products!! My apartment is very tiny and I think this furniture would be a perfect solution. The Emily Convertible Futon would be perfect for my daughter's dorm room ! I love the looks of this furniture - it is both trendy and functional. This would be perfect for my spare room and office. the futons would go great in my basement! I think this is mighty fine designed furniture. I absolutely adore it.